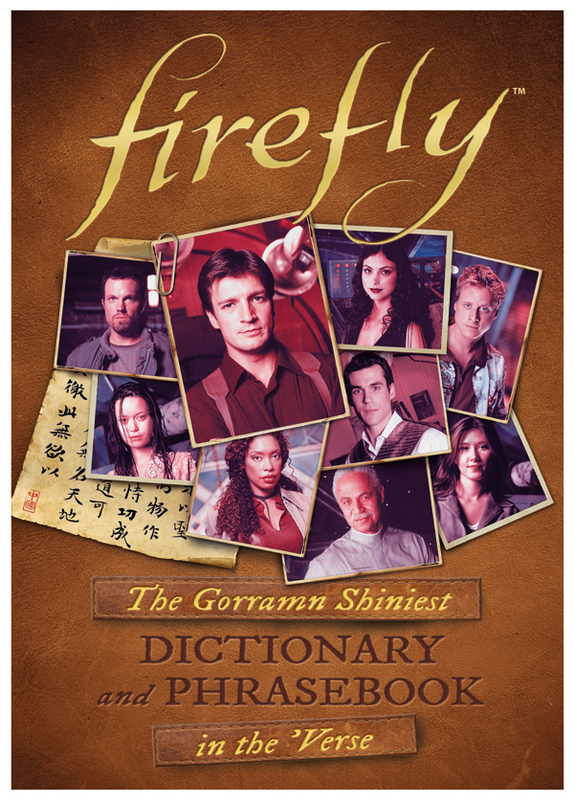 Published by Titan Books on 15th April, this Anglo‐Sino Firefly dictionary and phrasebook is a comprehensive guide exploring the history of language in the 'Verse and its modern usage that allows fans to navigate all the terminology used in the show, be it spacefaring‐speak, medical jargon or frontier phrases. Featuring an in‐depth interview with the show’s language consultant and packed full of cast photos, fans will be instantly swept up into the Firefly universe. 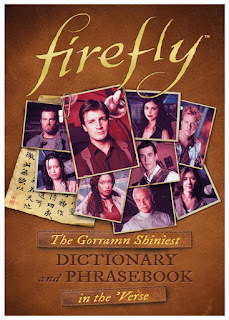 Whether you want to insult your enemies or learn brand new declarations of love, this dictionary and phrasebook is a must‐have for all Browncoats. Firefly is an award‐winning show created by Joss Whedon (Buffy the Vampire Slayer, Angel, Dr Horrible) that stars Nathan Fillion (Castle, Serenity), Gina Torres (Suits, The Matrix Reloaded) and Alan Tudyk (Frozen, I Robot, Wreck it Ralph). Set five hundred years in the future it details the life of a renegade crew who fought on the losing side of a civil war and who must now live on the fringes of society, avoiding warring factions and authority agents. It was sadly cancelled after one season but in the fourteen years since Firefly aired the show has reached cult status. Monica Valentinelli writes stories, games, essays, and comics for media/tie‐in properties and her original works from her studio in the Midwest. She was recently appointed lead developer and writer for the Firefly RPG books. When she’s not obsessing about deadlines, she designs jewellery and dabbles in other artistic endeavours.